The Holz Pre-Runner Front Bumper mounts directly to the frame. Minimalist design and quality craftsmanship makes for a very stout and lightweight front bumper. Aluminum Skid Plate included. Options are available to accommodate winch and fairlead. For 12 years, Holz Racing Products has been building the highest quality, best performing suspensions and chassis components available. Everyone says “race-proven.” We Live it. From WORCS, desert to short-course, Holz Racing Products are developed and proven in the most grueling applications. 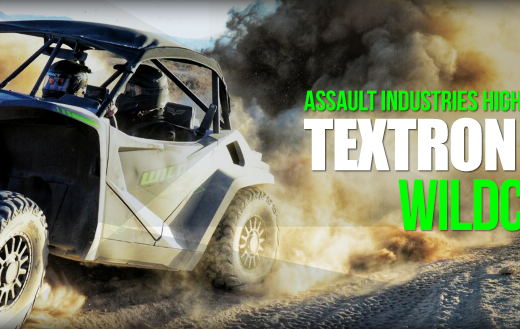 What we learn out there is built into our 2011 UTV product line. Exacting tolerances, OEM-like fit, durability and performance engineered right into every part. It all stems from our overly simple design philosophy — build the best per forming, most durable products in the industry. We’ve earned our reputation one year and one win at a time. We strive to keep all our parts in stock and ship everything as quick as possible to keep you riding, not waiting for the delivery man. 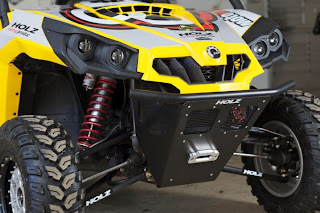 Visit our website to see our full line of Can-Am Commander and Polaris RZR parts. Holz Racing Products… Engineered to Win.